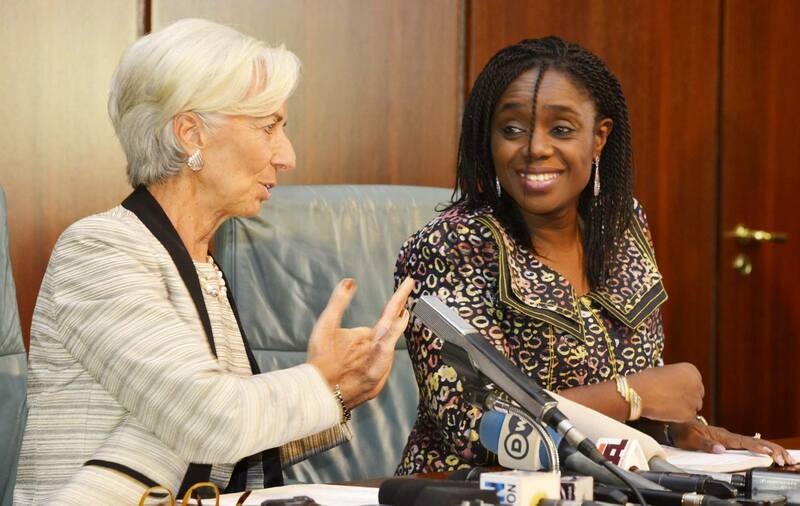 The International Monetary Fund (IMF) has projected that Nigeria is on a firm road to recovery from the recession it entered in 2016 after it successively recorded negative growth for four quarters that year. In its July World Economic Outlook released at the weekend, the IMF reaffirmed its projection that Nigeria will see its economy grow by 0.8 percent this year, and firming to 1.9 percent in 2018, more than twice the growth expected in 2017. The growth projection for Nigeria is in tandem with its forecast for the global economy, which it puts at an estimate of 3.5 percent, slightly above its April 2017 forecast. “The recovery in global growth that we projected in April is on a firmer footing; there is now no question mark over the world economy’s gain in momentum. “As in our April forecast, the World Economic Outlook Update projects 3.5 percent growth in global output for this year and 3.6 percent for next,” the Bretton Wood institution noted. Nigeria’s growth is hinged on the fallout of positive momentum in the global economy, especially growth in world trade, which is projected to grow faster than global output in the next two years. Again the various policy stimuli being put in place by the managers of the economy to grow the non-oil sector, according to the analyst, would help Nigeria compete for a share in global markets, thereby growing the economy. “Overall, though, recent data point to the broadest synchronised upswing the world economy has experienced in the last decade. World trade growth has also picked up, with volumes projected to grow faster than global output in the next two years,” it said. The IMF, however, noted that global growth is projected to be higher, it would remain barely above population growth rate for developing countries, into which Nigeria falls, implying a stagnation in per capita incomes. Indeed, Nigeria even in times of high growth years has struggled in terms of per capita due to population growth, which always outpaces economic growth. Besides this, there are other areas of weakness, especially among middle- and low-income countries, notably commodity exporters who continue to adjust to reduced terms of trade. The IMF global growth forecast primarily reflects much higher growth in Iran and stronger activity in India, following national accounts revisions. Specifically, economic activity in both advanced economies and emerging and developing economies is forecast to accelerate in 2017 to 2 percent and 4.6 percent respectively, with global growth projected to be 3.5 percent, unchanged from the April forecast. “The growth forecast for advanced economies in 2018 is put at 1.9 percent, 0.1 percentage point below the April 2017 WEO, and 4.8 percent for emerging and developing economies, the same as in the spring. The 2018 global growth forecast is unchanged at 3.6 per cent. The revisions reflect primarily the macroeconomic implications of changes in policy assumptions for the world’s two largest economies, the United States and China. The IMF noted some downsides to the forecast, especially for many emerging markets and developing economies, saying many of them are receiving capital inflows at favourable borrowing rates, possibly leading to risks of the balance of payments reversals later. It pointed out that strains could emerge if advanced economy central banks show an increasing preference for monetary tightening, as some have in recent months. It warned that core inflation pressures remain low in advanced economies and measures of longer-term inflation expectations show no indications of upward drift beyond targets, so central banks should proceed cautiously based on incoming economic data, reducing the risk of a premature tightening in financial conditions. “Despite the current improved outlook, longer-term growth forecasts remain subdued compared with historical levels, and tepid longer-term growth also carries risks,” it noted.